Punchdrunk are famed for their lavishly immersive theatrical productions such as The Mask of The Red Death and the award-winning Sleep No More, to name just two. 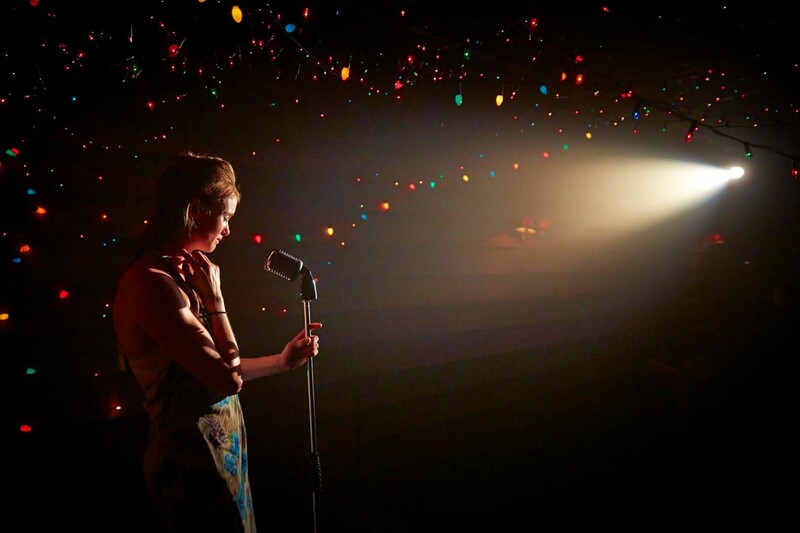 Their most recent collaboration with the National Theatre, The Drowned Man: A Hollywood Fable, is in the middle of its run and it is certainly their biggest and most ambitious production to date. Verdict: When you enter, you are given a mask and told to stay completely silent. You are encouraged to explore and possibly lose your companions. The more inquisitive you are, the more you get out of it. Like the silent, ghostly, anonymous presence you’ve become, you enter Temple Studios unnoticed. The set spans four floors of an old warehouse and comprises studios, sets, offices, bars, a cinema, woodland, and even a desert. You can get lost in it as you turn each corner, looking for clues as to what you’re about to see unfold, clues for what happened here. And in amongst the array of beautiful and meticulously crafted set-pieces, actors will emerge as if from nowhere and begin to enact scenes from the final days of Temple Studios. In terms of sheer spectacle, it’s almost certain you’ll never have experienced anything like this before. The scale of the piece, the craftsmanship of the sets, the perfect choreographed timing of the music, is extraordinarily all-encompassing. Theatre is unique amongst the artistic mediums for offering a kind of immediacy and intimacy in narrative storytelling that no other can provide. 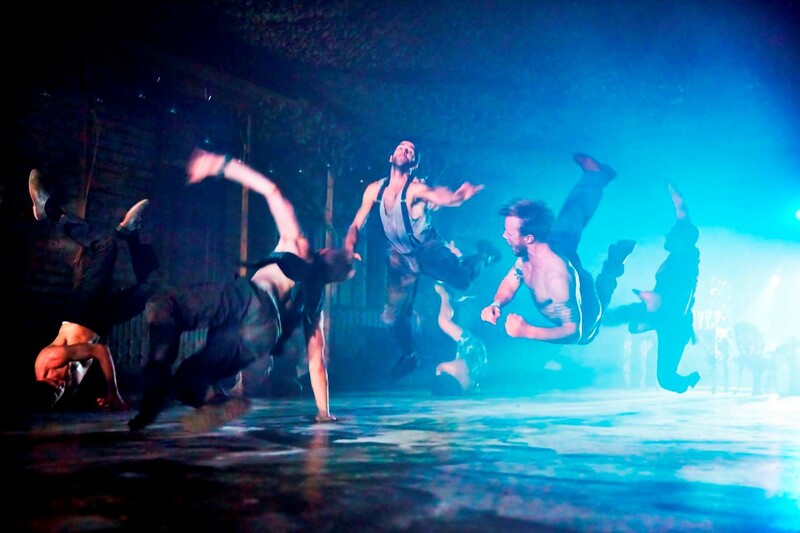 With this production, Punchdrunk have refined that into something altogether more potent. You don’t have to strain your imagination to create a dimly-lit forest for actors to stroll through as they conduct a scene on a draughty stage: instead, you’re walking through the trees with them. The music evocatively chimes with what is happening before you – so much so, that it is timed perfectly with something as simple as an actor turning their head. And it can’t be overstated how powerful it is for the wonderful performers to suddenly include the spectral presence of the audience in the scene. When one character drunkenly tripped and grabbed my arm for support, I felt the need to help her. When the film’s creepy director passed me by and trailed his fingers across my back, it sent chills down my spine. It brings you into the production, the scene, with visceral clarity. This is truly unique theatre. An eerie mirroring happens between the story inside the studio gates and the story outside, and strange little links can be found between the two. Sometimes they are physical links, like the wardrobe department that leads you through a dark sea of coats and out into a seamstress’s shop. Other times they are visual: the image of a male actor on the invisible side of a two-way mirror copying the movements of an unknown woman looking at her reflection on the other side is a particularly haunting example. It makes for a compelling mystery to piece together. But for all the exploration, sensory immersion, and tantalising mystery, not everyone will leave this production satisfied. By its very nature – fragmentary and mysterious – the story is hard to grasp and if you’re in the wrong place at the wrong time you’ll miss an important scene. The problem is that you almost certainly will be in the wrong place. There’s so much to explore and so much going on that grasping the basics of the story is difficult without missing something vital. You don’t get a particularly defined sense of character, nor do you quite forge the links between each character to get a true sense of what is happening to make them act the way they do. It leaves you with a palpable sense of having missed out. Some may find this an essential part of the storytelling, after all who can ever truly know the story behind this forgotten world and these forgotten souls? But for others it will be frustrating. Equally, watching a scene can be difficult when a crowd forms, making the parts that you are lucky to catch just as fleeting and uncertain as the parts you miss entirely. Three hours of time doesn’t suffice – with a production this rich, you’d need all day, or perhaps a week, to truly get inside this haunting world. Final Words: A production of staggering scope, perfectly executed, that lingers in the mind long after it’s finished. In this truly unique experience, that distils the essence of theatre into something new, exciting, and unprecedented, Punchdrunk have created a show that is peerless in terms of spectacle and potential. The only problem is that for those who consider narrative storytelling crucial, this won’t quite deliver. One comment for "The Drowned Man: A Hollywood Fable Review"